Those are the technical details, but it isn’t the whole story. The way this site looks, the user experience, and the fact that you found it at all have a lot to do with Justin Evans and everyone else at Stress Limit Design. They are the marketing firm I hired to help me with this book and website. When I first contacted them, I was looking for help with web design. I wanted to build my own site, and just needed help with graphics and color schemes. Someone to help me make it look pretty. I didn’t think I needed a marketing firm. This all changed when Justin started talking to me about branding. Let’s start with a simple question: who are you? In one paragraph summarize who you are, what you have done, and why I should care about your opinion. It is really hard. Why should you read my book? That question was easy for me to answer, as long as I could talk with each potential reader for 20 minutes. Answering both of these questions in a concise reusable way is really difficult and totally essential. I want people to read my book. I set up a weekly schedule with Justin. We would meet for about an hour and discuss the work each of us had done during the week. I told him the questions I had and he helped me find the answers. He also helped me figure out the questions I should have been asking. Here is another tough problem: describe your entire book in one paragraph. As an author I have to do this in half a dozen formats. To help me with this problem Justin introduced me to Shelley Boose from ShevRush PR. I would never have even thought to hire a PR firm for my small book, but the work they did was amazing. They took what I had written and turned it into what I wish I had written: something that really sells the book. The other kind of writing I needed to do was blog writing. Justin’s staff also includes blog coach Ian Welsh. He took a dozen posts and completely changed my approach. He told me what worked and what didn’t. Ian’s advice was so good I asked him to take a pass at the whole book. I also needed to tell a story with the pictures I’m using. Justin found me David Shopper, a photographer that could not only take a great picture, but use that picture to get a message across. At this point you might be wondering why all of this is necessary. Many people have blogs without a blog coach and many engineers write books without complex websites. Bruce Schneier for example has many successful books and a very simple website. Why did I need a complex and polished site of Bruce’s site was so simple? It all comes down to buckets and beacons. Bruce Schneier’s site is a bucket for collecting people that were already looking for him. He is very well known and his site is just a place to get a little more information. My site must be a beacon. It isn’t enough to give people who already know me a place to find out more. My website needs to attract people who wouldn’t have found me otherwise. It has to help me establish myself and become more well known. Here’s a simple example of the great work Justin did: sticky notes. I wanted to send a copy of my book to everyone I interviewed. It’s a way of saying thank you, but I also hoped they would enjoy the book and let other people know about it. Justin loved the idea and he took it one step further by adding sticky notes. When you get a book in the mail you might not read it for a while. Sticky notes make the book feel immediate. One note on each book, “Hello Mark. You’ll love the finding a remote job section.” It makes people much more likely to read the book when they get it. Justin and I worked on ideas like this over a couple of months. We talked about the message of the website, my personal branding, and the best way to talk about the book. More important than anything Justin did was the way he did it. He showed me what he was doing and gave me a gigantic education about how to package myself and my book in a way that works well. As an engineer I’ve always been wary of the marketing department. Justin showed me how effective it can be and helped me do it for myself in the future. What does this have to do with working remotely? I live in Boston, Justin is in Montreal, Shelley in L.A, Ian in Toronto, and David is in Boston. I have never met any of them face-to-face. Everything we did together was remote and it worked out great. I wouldn’t recognize Justin if I saw him on the street, but the relationship we built up means I will call him for my next book and the one after that too. The body text of this site is set in 14/18 using Georgia by Matthew Carter. The sans-serif font used in titles and notes is Verdana also by Matthew Carter. The title font is Archer by Jonathan Hoefler and Tobias Frere-Jones. The One Minute Commute was designed by hand using CSS and other web standards. 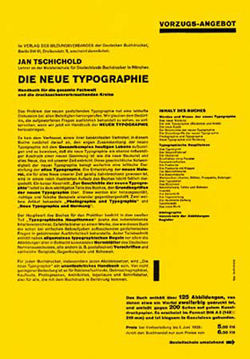 The design was inspired by A Working Library, Bobulate, and the classic Die Neue Typographie (The New Typography) by Jan Tschichold.